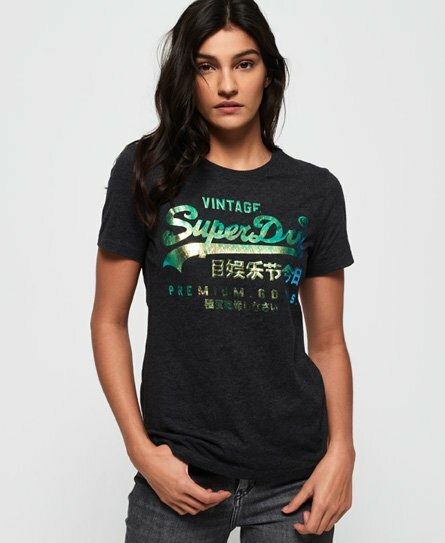 Superdry women’s Premium Goods puff foil infill t-shirt. Boost your round-the-clock wardrobe with this staple tee, great to tuck into a skirt of pair with your favourite jeans. This tee features a foil Superdry logo across the chest, short sleeves and a crew neck making it a great piece to layer. This t-shirt is completed with a Superdry logo on the hem.